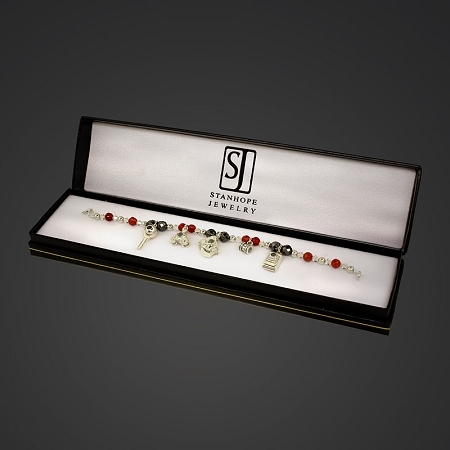 Romantic design stanhope charm bracelet is handmade of fine sterling silver beads, clear faceted Swarovski Crystal Elements, romantic red coral beads, elegant hematite and features a sterling lobster clasp. Personal and sentimental, our charm bracelets will preserve your fondest personal memories and life's most special moments forever as tiny micro-photos you can clearly see. Each stanhope charm on your bracelet is home to a tiny magnified photo called a "stanhope". Hold it closely to your eye to reveal the stunningly clear photo. Your charm bracelet includes your first custom photo Barrel Charm so you can preserve your most precious picture right away. 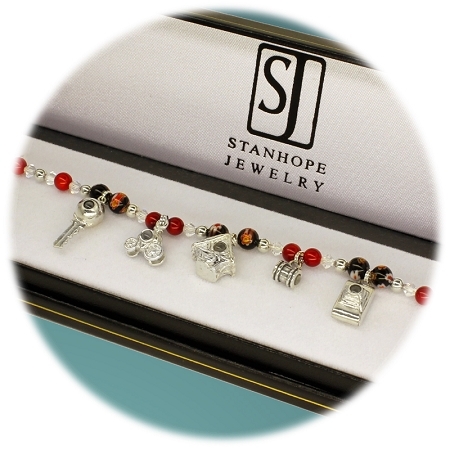 A stanhope charm bracelet is a keepsake that highlights the memories of a persons life and in many ways it's like a photo album you can wear. Our bracelets and charms, though miraculous for their tiny photo inside, are designed with you in mind, for you to wear for a lifetime. 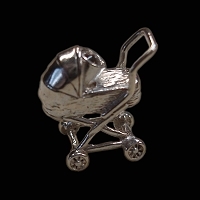 Create a keepsake that she'll be sure to cherish and admire for a lifetime. 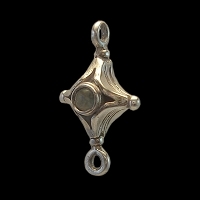 Can be worn as a pendant on a chain or as a charm on a bracelet. Select the perfect length from 7 to 8 1/2 inches or contact us for a custom length. A great Valentine's or Mother's day gift that will touch her heart. 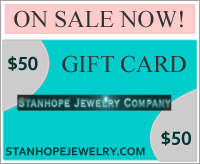 To personalize your stanhope charm, just upload your own favorite photo. 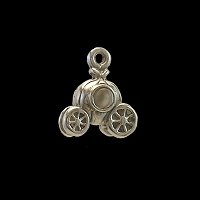 Charms are attached with small sterling split-rings so you can add or change charms easily without the help of a jeweler. More charms can be added at any time. 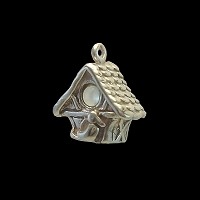 To see our entire Stanhope Charm selection, visit our Stanhope Charms Department. 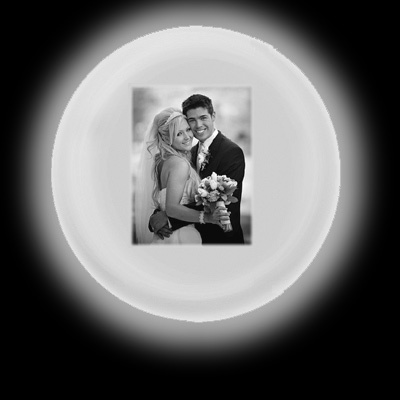 Do more than just remember your life's special moments, see them in stanhope charms.